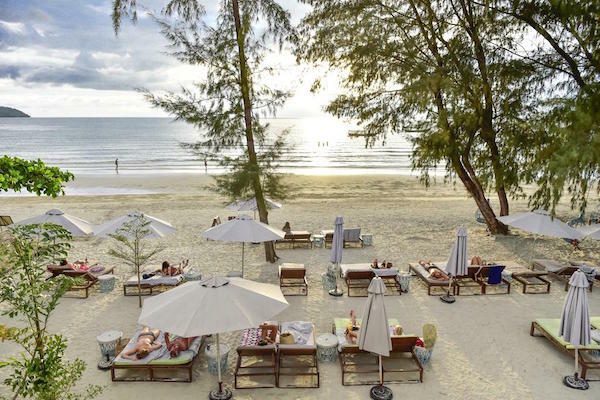 One of our favourite beach hotels in Cambodia, and especially for families, the Naia Beach Resort is a real eye-catcher. Its clean white lines and a brilliant blue pool, and 1950s-inspired décor work together perfectly to inspire calm and relaxation. The fabulous design is thanks to Spanish architect Philippe Favre. 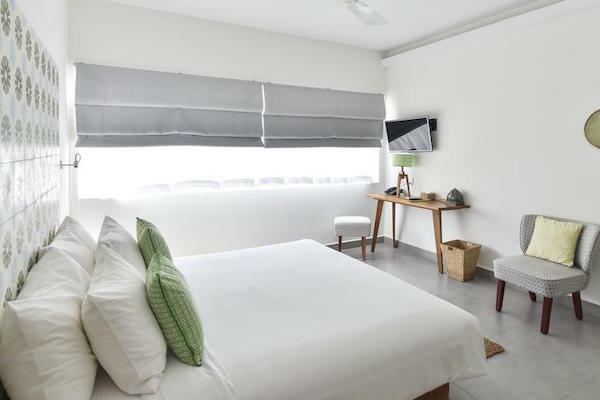 Naia means ‘waves’ in Basque, and the hotel’s wavy-design balconies, white walls and soft hues of greens, blues and browns exude a calm, natural beach vibe. 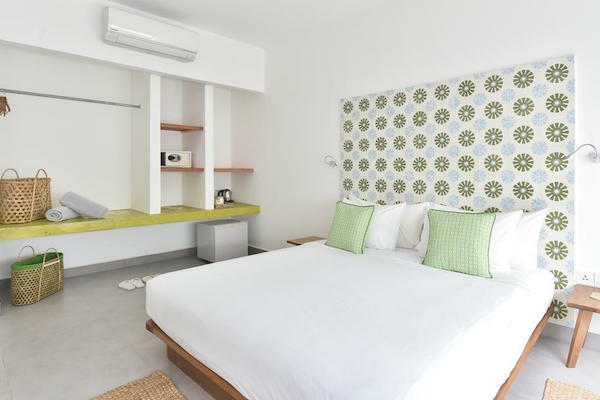 Naia Beach offers air-conditioned rooms that include a flat-screen TV with cable channels, a fan option. 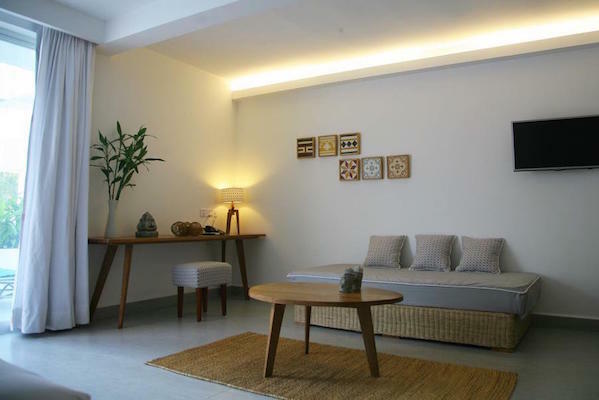 Certain rooms feature a seating area with fitted desk, while others include views of the sea or pool. 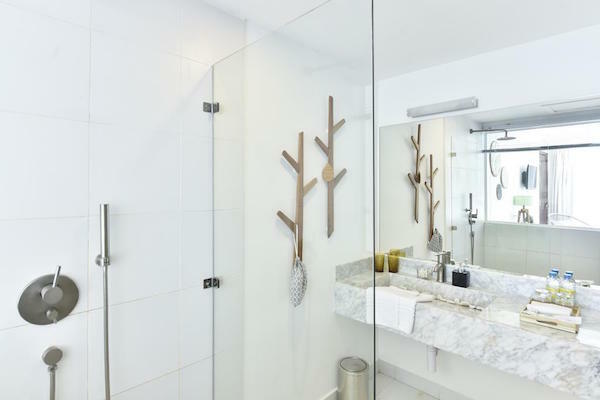 Rooms have a private bathroom fitted with a shower. Naia offers various kinds of rooms and suites, all with great sense of value and decorated with designer furniture in 1950’s style. The Superior Double Balcony with 35 m2, Garden View, a balcony and king size bed. The Deluxe Twin Terrace with 35 m2, Sea View, a terrace and two single beds. The Superior Twin Balcony with 30 m2, Garden View, balcony and two single beds. The Deluxe Double with 34 m2, Mountain View and king size bed. The Deluxe Double with 34 m2, Sea View, balcony and a king size bed. The Deluxe Double Terrace with 40 m2, Sea View, terrace and a king size bed. 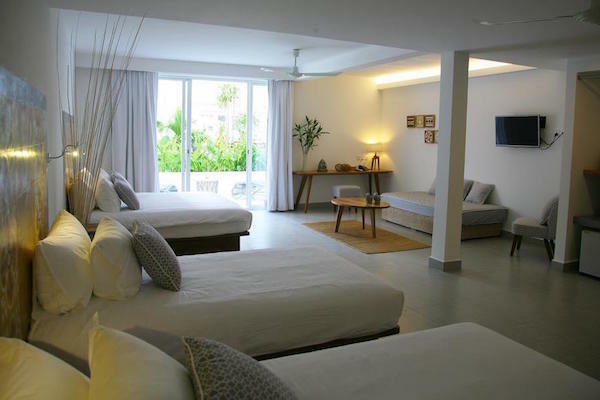 The Family Suite with 55 m2, ​Garden View, terrace and a king bed plus two single beds. 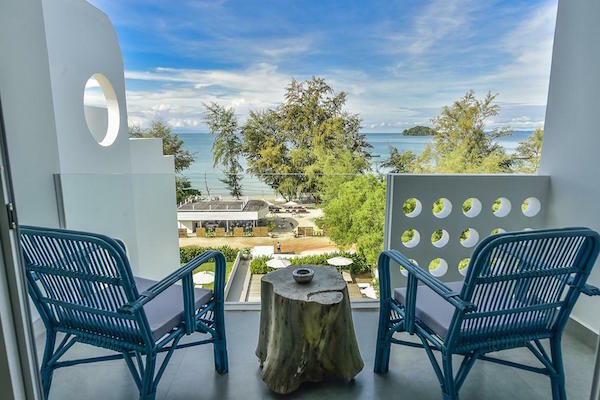 The Junior Suite Balcony with 50 m2, Sea View, balcony and one king bed plus a single bed. The Deluxe Twin Balcony ​with 35 m2, Sea View, balcony and 2 single beds. The Suite Balcony with 55 m2, Garden View, balcony and a king size bed plus two single beds. And the largest room in the property, the Family Room with 63 m2, a terrace, Garden View and a king size bed plus three single beds. It's no surprise that the owner has got children, because for once, there is a whole range of options for families. With a children's pool in the grounds, this is the place where families can really relax into the groove of the holiday vibe! We recommend the Family Patio Garden Suite for bigger families (it can sleep up to five if you use the day bed) or the Patio Garden Room for smaller families (perfect for families of 3 but can sleep up to 4). The Deluxe Double Seaview also has inter-connecting terrace options. Naia beach offers among its facilities 2 Pools, one for kids, an all-day dining restaurant that offers packed lunches and caters to special dietary needs upon request and a Bar & Lounge area with a great beverage program. Naia also has a comprehensive activities program that includes cultural, foodie and nature trips, tours, biking, jet ski, sailing, yoga classes and diving. 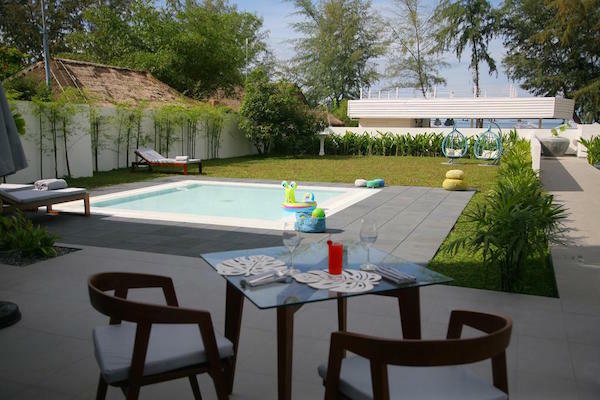 Located in the beachfront in Sihanoukville, 6 km from Occheuteal Beach and 7km from Serendipity Beach. 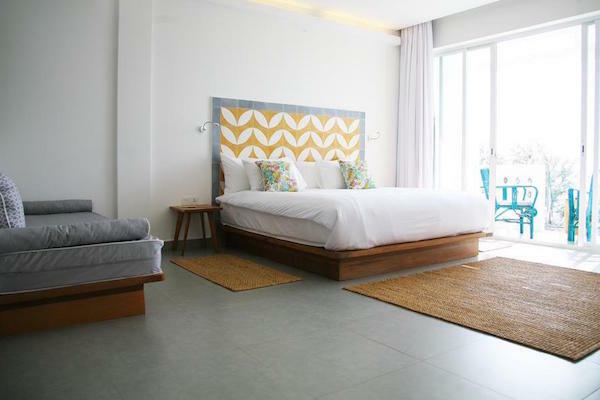 Our tip: Get the beach facing rooms, they’re well worth it!